As one of the largest independent practices on the Fylde, we are able to source the most suitable lenses for you, from basic plastic (CR39) to the thinnest “hi-index” lenses. We have no restrictions to sourcing any lens from a wide range of quality manufacturers (including Rodenstock, Nikon, Essilor & Zeiss) so if it’s right for you we’ll source it for you. All lenses and frames are fitted by qualified Dispensing Opticians and every spectacle lens is specifically matched to your eyes and your visual needs. White, tinted in any colour, photochromic, plastic or glass - we offer them all. Our qualified Dispensing Opticians are on hand every day to offer FREE advice on the most complex spectacle lenses or frame styling; whether you want something similar to your current spectacles or you fancy a complete change of image, call in and have a chat with one of our friendly opticians! 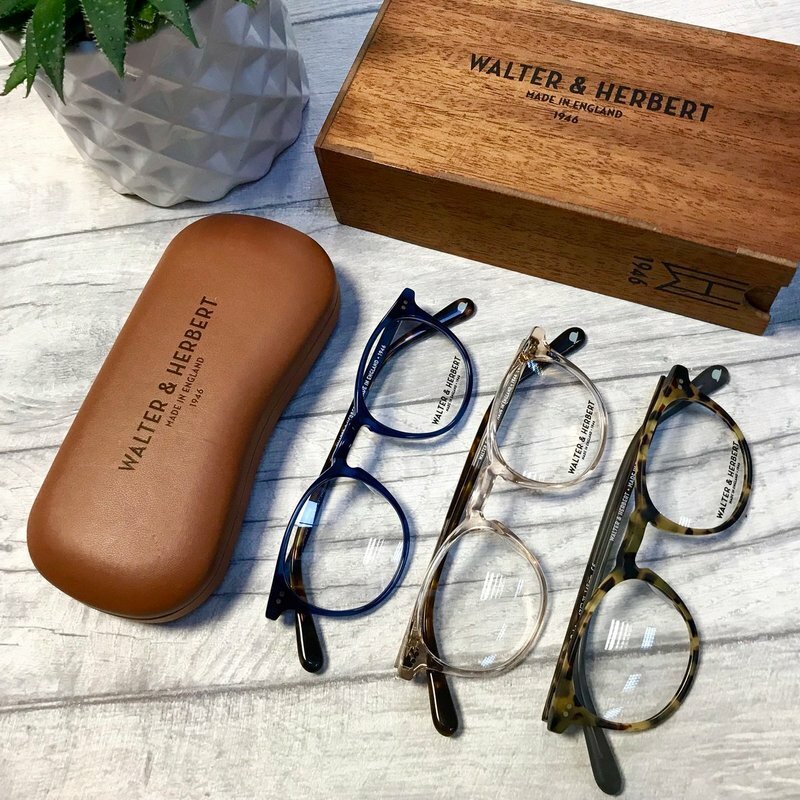 The simple choice of spectacle frame shape and design can also have an impact on how thick your lenses are, therefore it is essential that you get the right advice for both frame and lenses to maximise the look of your glasses. Our qualified professionals can offer that advice. We will offer quality solutions for every prescription lens requirement and provide you with a portfolio of products that is unsurpassed. We have researched the frames for you; speaking with manufacturers and suppliers throughout the globe from Denmark to Austria, from Italy to London, and we believe that our stock has a fantastic range of quality frames; from inexpensive but well engineered budget lines, to the exclusive Porsche Design and Silhouette Eyewear collections. We also stock many other brands such as Cazal, Stepper, Walter & Herbert, Rodenstock, Jasper Conran, Marma London and many more. An introduction to our current frame collection can be found by clicking the link below. It is sometimes not possible to find one pair of spectacles which is equally good for every application for every wearer. Ask for advice! Even the best glasses can only provide their optimum function if the lenses are really perfectly fitted in front of the eyes. If the fit of the frame on the face is not adjusted - as is the case with ready-mades - the eyes may be subjected to increased strain and there may be incompatibility with the lenses. We are not required by law to include details of the horizontal distance between your pupils (the inter-pupillary distance) in your optical prescription. The responsibility for ensuring that your lenses are properly centred in your frames lies with the person dispensing your glasses and any provider of glasses, whether shop or internet based, should have arrangements in place to be able to satisfy this requirement. It would be inappropriate for a person not supplying your glasses to be held responsible for this measurement.